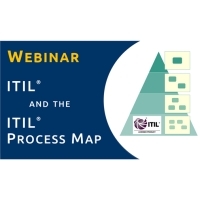 Recording | Webinar: ITIL and the ITIL Process Map (33 min.). Stefan Kempter will walk you through the ITIL Process Map and explain how your organization can use the ITIL process and document templates to introduce ITSM best practice according to ITIL 2011. We present examples of the process diagrams, so you get a good impression of their layout and the information contained on every level of detail. The ITIL - ISO 20000 Bridge (an additional component for organizations that want to go for ISO 20000 certification). If you have any questions or need more information about the ITIL process model, please drop us a line!